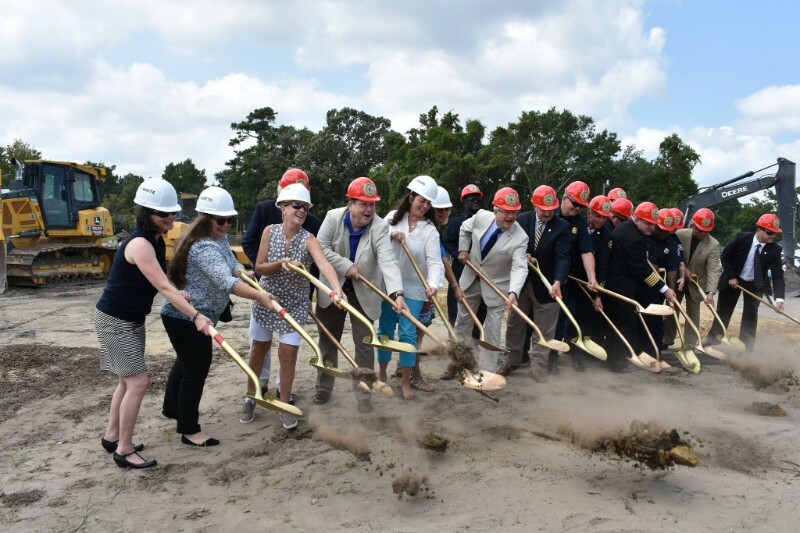 Charleston, S.C.—At a ceremony last week, the city of Charleston officially broke ground on Fire Station 11, which is being built at 1835 Savannah Highway adjacent to Charleston 9 Memorial Park. When completed, the 14,500 square foot building will include a command training center, three bay apparatus area, living quarters and department offices. The location for the new station was selected to improve service delivery in West Ashley and will house Engine 11 and the 15 firefighters assigned to that company. 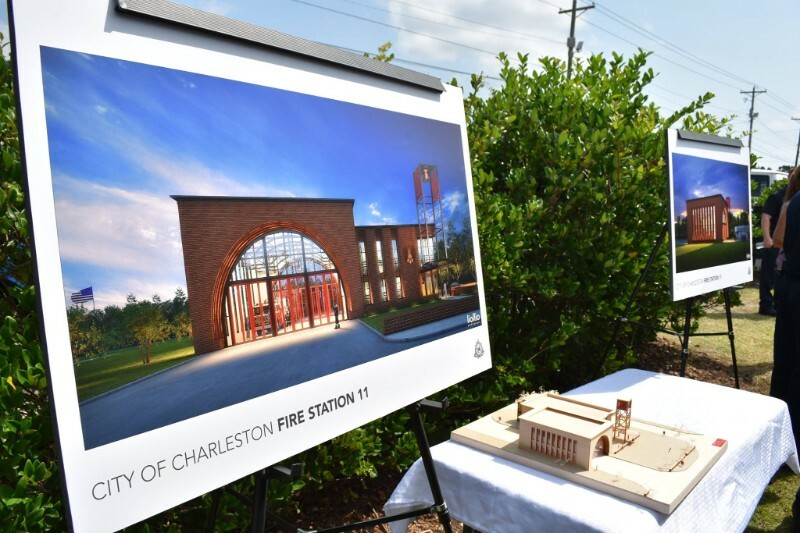 The design, which features nine vertical windows in the apparatus bay overlooking the Charleston 9 memorial site, was finalized through a public engagement process that involved several opportunities for community feedback.